Our Screen printing prices start at only $5.00 Ea. (Prices Include basic 100% cotton T-shirts) a small pocket print on the front and logo on the back. Also No Screen Fees. For the front and back price, both the front and back must have the same colors or less. Moisture Wicking shirts are available with a upcharge. We also have specialty ink such as glitter that is also available for an up charge. If you would like a variety of items to choose from we have blank apparel. You can choose some of these items at a upcharge. With normal screen printing companies, the price will normally be determined by how many colors you have in your design. The next will be how many shirts you need. To get the cheapest price you will want to use the least amount of colors as possible. you will also want to purchase a large quantity. 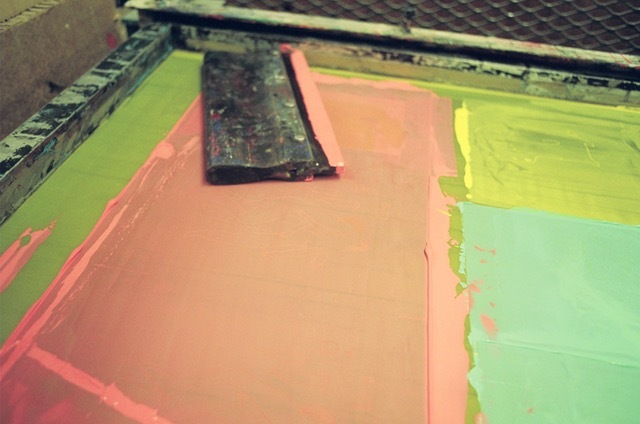 This is how you get the cheapest price when it comes to screen printing. Some companies will also charge you a screen fee. The price may also reflect on the type of ink you would like to use. Print Area is around 10 x 10 for the full size but up to 11 x 14 for oversize prints. Screen Printing artwork must be submitted in Vector file format. SVG,AI,EPS files are acceptable. The top 2 different Printing types. Spot color printing is normally the method that is chosen for screen printing. Spot color is using the exact color ink to print each color on to your apparel. With spot color printing the prints are usually vibrant and you can choose a specific pan-tone to get spot on colors. The down side to spot color printing is it can be kinda of costly if you are printing multiple colors. If you have 10 color print job, then you will need 10 screens that will be needed. With this process, you will only be able to use on light color shirts. There will be no white ink involved. Kinda of similar to using an inkjet desktop printer. When using this process you will blend certain colors to make a full-color image. It can be less costly than using spot colors because you will only be using 4 screens. The colors will not be as vibrant as spot color printing and you will not be able to get exact pan-tones. Plastisol ink is normally the go-to choice for screen printers. It is easy to manage and cost-effective. You can leave this ink out and it will not dry. It is easy to clean up. The disadvantages can be that if you use something hot such an iron on your image it may remelt the ink. It also has a harder touch. Unlike Water-based inks. Water based inks are great if you want a soft touch on your garments. They are also eco-friendly. Waterbased inks usually will cost more then plastisol inks. We are now offering Glitter ink that is screen printed onto t-shirts. Glitter is a great way to make your t-shirts really stand out.